Finally, a tool (still in development) called Activity Log Manager is available for tweaking the Dash and Files & Folders, Zeitgeist history settings through a testing PPA. 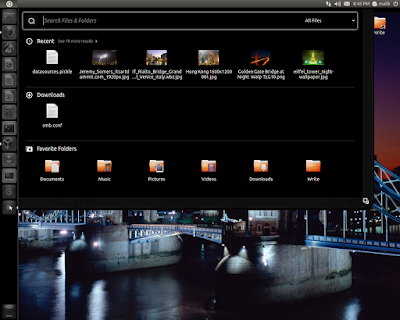 It is available for Ubuntu Lucid, Maverick and Natty but you'll first need to upgrade Zeitgeist to 0.8 for getting Activity Log Manager to work. The last command would restart the 'zeitgeist-daemon', to affect it by the upgrade immediately, but you can also do this after the next step. Unless you restart the 'zeitgeist-daemon', the Activity Log Manager won't work. 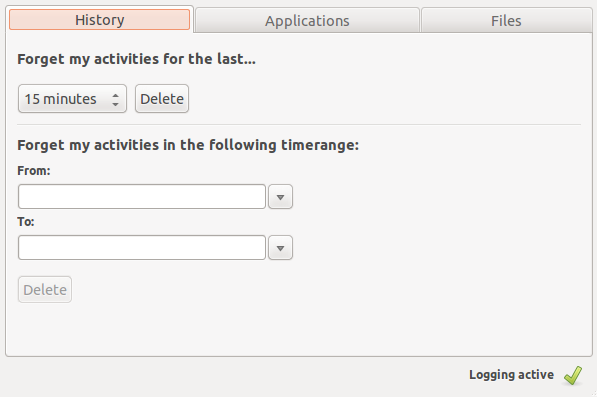 Now to run it, you can press the <Super> (Windows Logo Key) to bring up the Dash and search for 'activity log manager'. The interface itself it simple at this point of time. It is under development so we hope it would be getting some more features soon. Basically, you've got 3 tabs: 'History', 'Applications' and 'Files'. Under 'History', you can delete the history for any duration of time ranging from 15 minutes to years. Under 'Applications', you can blacklist certain Applications from displaying their history in the Dash e.g, MPlayer, gedit etc. Under 'Files', you can blacklist certain file types from being shown up in the dash e.g, Audio, Text, Spreadsheets etc. 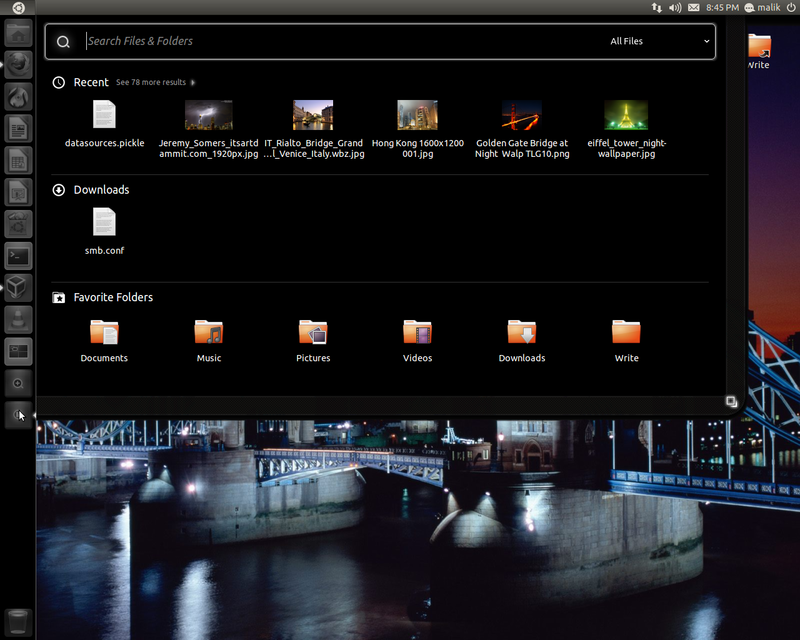 You can also blacklist certain folders here. You can also toggle between active / inactive Logging by clicking the button in the bottom-right corner of Activity Log Manager window.